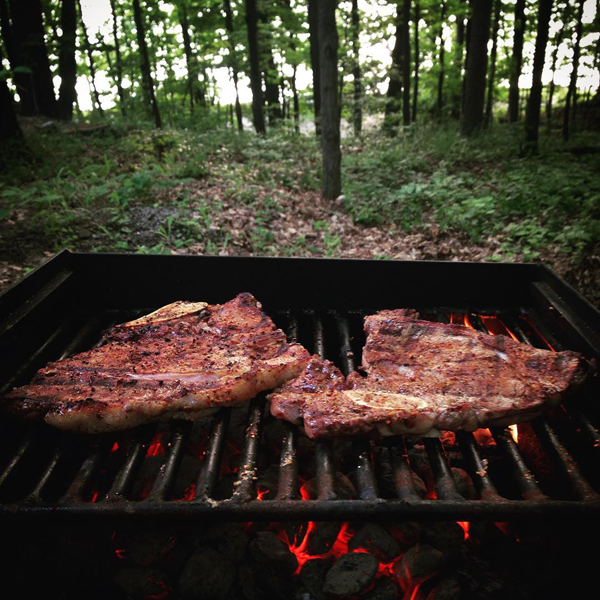 One of my favorite parts of camping is the food. 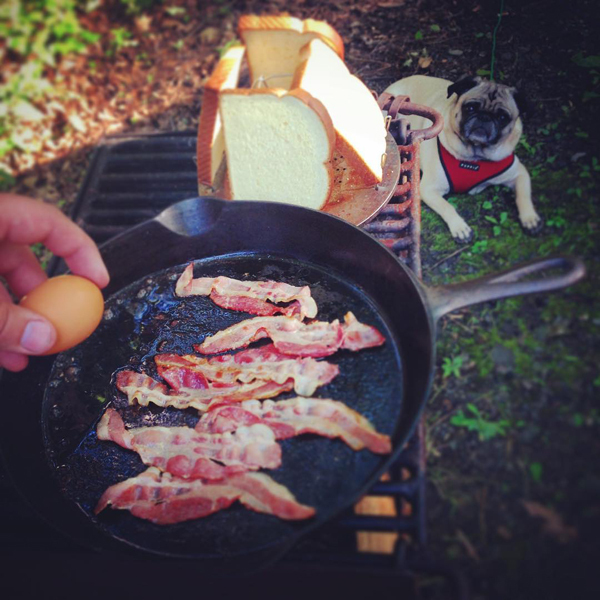 We didn't get to cook anything our first evening because of the rain so I was pretty excited for breakfast the next morning. Hugo was pretty excited too. For dinner we had steak. I swear it tastes better outside. 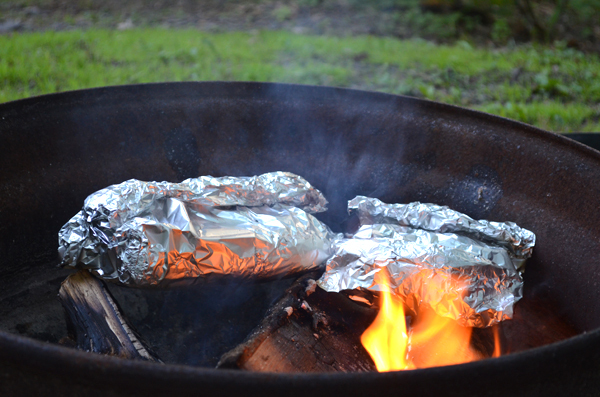 The rest of the meal was cooked in foil packets... corn on the cob and mushrooms. 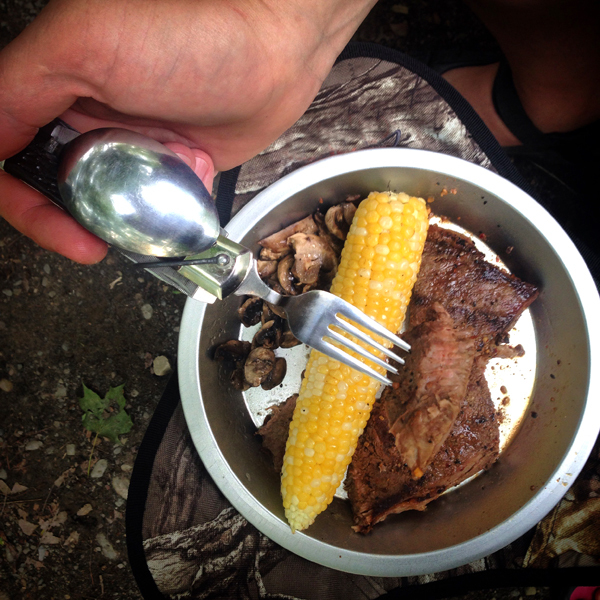 Aaron finally got to use his hobo knife complete with fork and spoon. 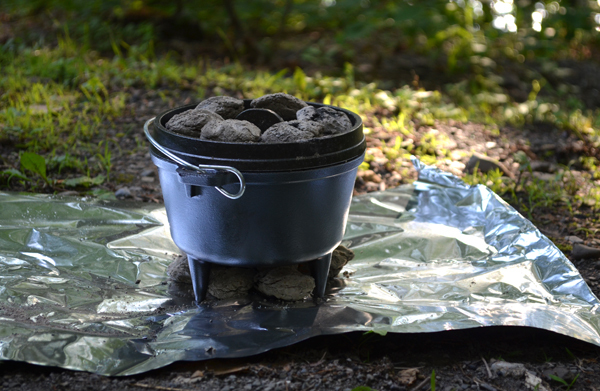 And i got to break in my mini dutch oven. 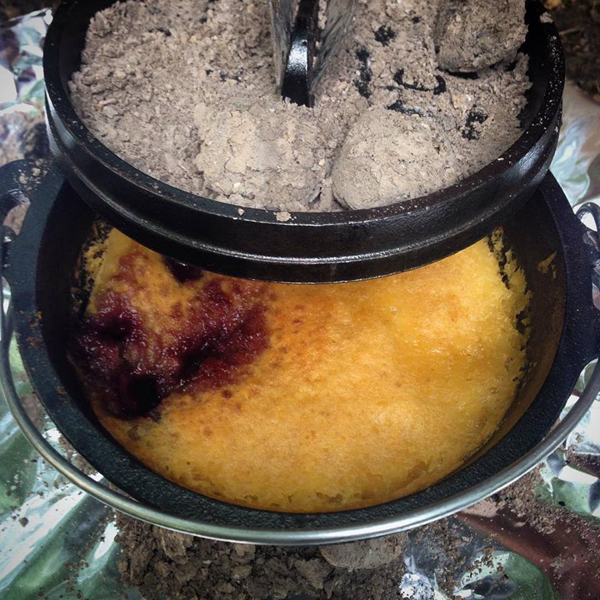 I used the little dutch oven to make a blueberry cobbler for dessert. I used this recipe, which seemed a little strange as it called for a box of cake mix and a can of Sprite. It worked though!